I am happy to announce that two publications related to the Occult Minds project have been accepted for publication in top religious studies journals over the past week. The first of these, “Experience as Event,” is a co-authored article with Ann Taves that is slated to appear as a target article in Religion, Brain, and Behavior. The article argues that “event cognition” offers a significant framework for analyzing experiences (including those that people deem “religious”, “spiritual”, “mystical”, or “occult”), allowing us to reconsider classic problems in this field and to integrate methods from the humanities and the cognitive sciences. 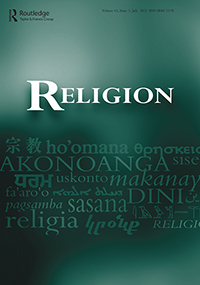 The second article is entitled “Reverse-Engineering ‘Esotericism’”, and has just been accepted for publication in Religion. An elaboration on the approach of the Occult Minds project, this article demonstrates specific methods for “reverse-engineering” a complex cultural concept (CCC), and suggests ways for how the various phenomena grouped under the CCC “esotericism” might be fruitfully studied and integrated into the cognitive science of religion. I suggest doing this by looking at “esotericism” in terms of more generic processes of creating and setting aside certain kinds of knowledge as “special”, and looking at the ways such “special knowledge” is distributed and deployed. Together, these two articles elaborate on the building block that Taves has suggested in earlier work, and demonstrate the potential of a reverse engineering process for CCCs. 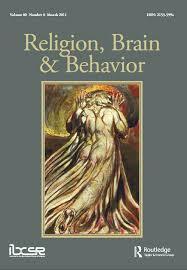 In particular, both these papers tackle the interface between social constructionism and cognitive science in the study of religion (and esotericism), attempting to strike out a balanced and constructive path for future work. Abstract: We argue that EVENT is a basic concept that humanists, social scientists and cognitive psychologists can use to build a consilient research platform for the study of experiences that people deem religious. Grounding the study of experience in event cognition allows us to reframe several classic problems in the study of “religious experience”: (1) the function of culture-specific knowledge in the production of experiences, (2) the relationship between original experiences and later narratives, and (3) the relationship between experiences and appraisal processes. At the same time, construing experiences as events allows us to integrate disparate lines of research in CSR to create an integrated framework for studying both existing and emergent phenomena. Key words: Event cognition; predictive coding; (religious) experiences; building block approach; complex cultural concepts (CCCs); appraisals. The article introduces a framework for preparing complex cultural concepts for the cognitive science of religion and applies it to the field of Western esotericism. The research process (“reverse engineering”) rests on a building-block approach that, after problematic categories have been deconstructed, seeks to reconstruct new scholarly objects in generic terms that can be operationalized in interdisciplinary contexts like CSR. A four-step research process is delineated, illustrated by a short discussion of previous work on “Gnosticism”, “magic”, and “religion”, before applying it to “esotericism”. It is suggested that the implicit scholarly objects of esotericism scholarship can be reconstituted in generic terms as concerned with processes of creating and disseminating “special knowledge”. Five definitional clusters are identified in the literature; these provide a basis for formulating research programs on the psychological and cognitive level, drawing on metarepresentational processes, event cognition, and psychological dispositions for altering experience. Keywords: building block approach; esotericism; cognitive science of religion; complex cultural concepts; theory and metatheory, constructionism. I am keeping track of outcomes form the Occult Minds project here (and this is where you can find a more complete list of my publications). This entry was posted in Articles, New Research, Occult Minds Project Update and tagged "special knowledge", Ann Taves, building block approach, consilience, constructionism, esotericism, event cognition, Religion (journal), Religion Brain & Behavior (journal), religious experience, reverse engineering; complex cultural concepts (CCCs). Bookmark the permalink.